For many years this resonance frequency has hovered at a steady 7.83 Hz with only slight variations. In June 2014 that apparently changed. Monitors at the Russian Space Observing System showed a sudden spike in activity to around 8.5 Hz. Since then, they have recorded days where the Schumann accelerated as fast as 16.5 Hz. (The graph is usually blue with some green, and no white.) At first they thought their equipment was malfunctioning, but later learned the data was accurate. Everyone was asking, what’s causing this intermittent spiking activity? Is the Earth’s frequency speeding up? Since the Schumann frequency is said to be “in tune” with the human brain’s alpha and theta states, this acceleration may be why it often feels like time has sped up and events and changes in our life are happening more rapidly. These emerging resonances are naturally correlated to human brainwave activity. So this means, we are changing. Many years ago I was trained in EEG Neurofeedback, so I looked at what these accelerated frequencies might be telling us about human evolutionary change. A 7.83 Hz frequency is an alpha/theta state. Relaxed, yet dreamy—sort of a neutral idling state waiting for something to happen. A 8.5 – 16.5 Hz frequency moves one out of the theta range into more of a full calmer alpha state with faster more alert beta frequencies starting to appear. (This correlates with slowly waking up cognitively). Since the Schumann Resonance has had sudden spikes between 12 – 16.5 Hz (see pic’s white areas), I found this even more interesting. In Neurofeedback, 12-15 Hz is called Sensory-Motor Rhythm frequency (SMR). It is an ideal state of “awakened calm.” Our thought processes are clearer and more focused, yet we are still “in the flow” or “in the know.” In other words, Mother Earth is shifting her vibrational frequency and perhaps so are we. This may be one of many signs that we are AWAKENING. 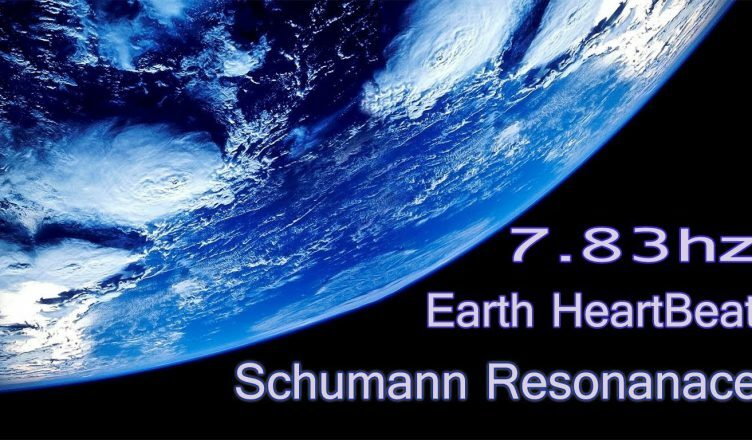 Scientist’s report that the Earth’s magnetic field, which can affect the Schumann Resonance, has been slowly weakening for the past 2,000 years and even more so in the last few years. No one really knows why. I was told by a wise old sage from India that the magnetic field of Earth was put in place by the Ancient Ones to block our primordial memories of our true heritage. This was so that souls could learn from the experience of free-will unhampered by memories of the past. He claimed that the magnetic field changes are now loosening those memory blocks and we are raising our consciousness to greater truth. The veil is lifting. The blinders are coming off. If true, it raises even more intriguing questions. Whatever is happening, it’s clear that this acceleration may make you feel more tired, exhausted, dizzy, depressed, and even strange as you raise your own frequencies to be more “in tune” with the New Earth. Adaptation is not always an easy process, but keep in mind it’s all part of your own unique AWAKENING.